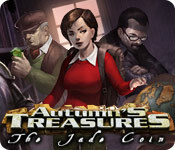 Autumn's Treasures: The Jade Coin is rated 3.6 out of 5 by 16. Rated 5 out of 5 by Rescue_helo from Good Ol' Vintage One of the features I liked in this quest is the absence of pure HO Scenes, those junkpiles that pop up in most games and make you find a multitude of useless, too often invisible, thingies in order to get the one useful item that you need in order to progress. Here you search for fragments of useful objects only. Another nice feature is the amount of tasks you have to perform. They are all interesting, even funny at times like what you need do in the Mayan Ruins, as one instance, and there are so many of them that you don't have time to get bored. Tasks and object use are neither far-fetched either, nor the result of the figment of a developer's imagination; they all respond to logic; some of them, being quite unusual and not all that obvious, require good thinking and being creative. The emphasis being placed essentially on actions, the number of puzzles is limited; all of them are simple, not overly tricky, yet enjoyable. The first minigame in Sri Lanka is good fun, the second original. From Seattle to Boston via different countries through 9 long chapters, there are many locations to visit, each artistically hand-drawn, lively colored, at least equal in quality, if not superior, to the graphics of several recent releases. The Jade Coin is an older game which offers enough inventiveness and challenge to compete with newer ones and provide many hours of enjoyment. The one hour demo is not enough to truly appreciate this adventure as it gets better and better with every chapter. A 4.6/4.7 star game [rounded up to 5] that deserves to be played till the end. Rated 4 out of 5 by arnold1049 from WHERE IS THE SEQUEL? This is a nice solid HOG with nothing in particular to make it stand out but a very enjoyable game. There are lots of HOS and some of the items are a little hard to see. I found myself using the hint button several times. The hint button recharges fairly slowly and using it adds additional time to the record of how long you have played the game. Correctly completely the puzzles reduces the total time played. 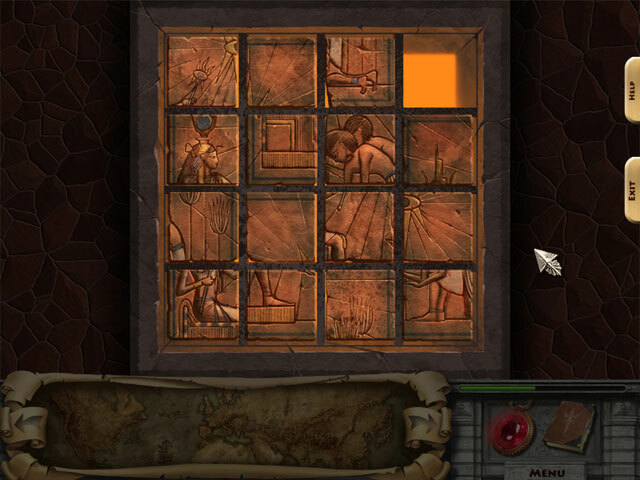 Five minutes are added for hint use while only 2 minutes are deducted for solving puzzles. There are no time limits within the game so I'm not sure if this game can be played online with other players. I'm thinking not. However, I can't see any other purpose in keeping track of total game play time. This is a SE so there are not a lot of bells and whistles. It is a long game and locations are scattered all over the world. Autumn is being directed by her deceased Grandfather to find a jade coin that is the key to keeping her safe from the Syndicate. The storyline leaves a lot of questions unanswered, such as how Autumn's grandfather fell into the clutches of the syndicate and why the jade coin serves as a protection. When Autumn finds the jade coin ahead of the syndicate members who are also looking for it, I expected the game to end. But she is sent to another location by her Grandfather to find a way to eliminate the syndicate all together. This sets up the sequel, which I don't think was ever made. Too bad, because it is an engaging storyline that made me want to see the end. Within any given map location, there are 2 to 3 rooms where objects need to be found. This is strictly a "find the pieces that make up the object" type of HOG, not one of my favorites. Finding on object often opens up a search for 2 or more other objects. There is a lot of back and forth among the rooms which is always a little annoying to me, as new item pieces are added to the rooms that weren't there at the beginning. However, once a map location has been completed, you do not return there again.The puzzles are pretty basic and not too hard. The ratio of HOS to puzzles is about 5 to 1. I did not finish the game in one time frame and found myself looking forward to going back to it to play some more. Rated 4 out of 5 by boynamedkeisha from Sequel I thought this game was an exciting adventure in good old fashioned hidden object form! I have but one regret about this game, the ending. The end has nothing at all to do with the story. I thought the game should have ended with the coin; not the start of another story that doesn't exist!!!! The irritation of that aside this is a very charming game. I fully recommend it to anyone who is willing to play! Enjoy!!!!!! Rated 4 out of 5 by Tassiegal from Very enjoyable I have played this game several times and will probably go back to it in the future, so I guess I must really like it! There are a few slightly irritating features, such as the main character giving a running commentary on everything, but otherwise it's an absorbing game. I don't mind the old-looking graphics - a good game depends on good design and well thought-out puzzles/HOSs, not how many bells, whistles and 'real' actors it contains, in my view. The graphics here are clear and bright and for the most part it's not too hard to find the necessary object parts in the scene (though some are very well camouflaged!) The storyline is good and flows well and the separate chapters (when Autumn travels from one part of the world to another) make it easy to play the game in short segments when you have only a short time available. It's quite a relaxing game - the kind I like - and the puzzles require some thought, without being too hard. All in all, I'm glad I bought this one. Rated 4 out of 5 by neilskinut from average game Older game so does not have what you see now in the good games. The HOS are good and the puzzles are ok. Hint button works good. Rated 4 out of 5 by rosekaufmann from A Well-traveled Game Based on complete game, casual mode. Lengthy. Storyline is interesting, logical and flows smoothly as Autumn travels from Seattle to Boston, with 7 countries in between. Each country is a separate chapter, with a few locations in each. Travel is minimal between locations - no traveling back to a country already visited. A progress bar advises how far you are in the chapter. The graphics are beautiful, bright and colorful, with a lot of attention paid to detail. There are only a few “darkish” scenes in Egypt and Paris. HOS are in the form of finding pieces of silhouettes. Hovering over a silhouette shows what pieces must still be found. They are then used in one of the locations. Objects are well defined and easy to find. 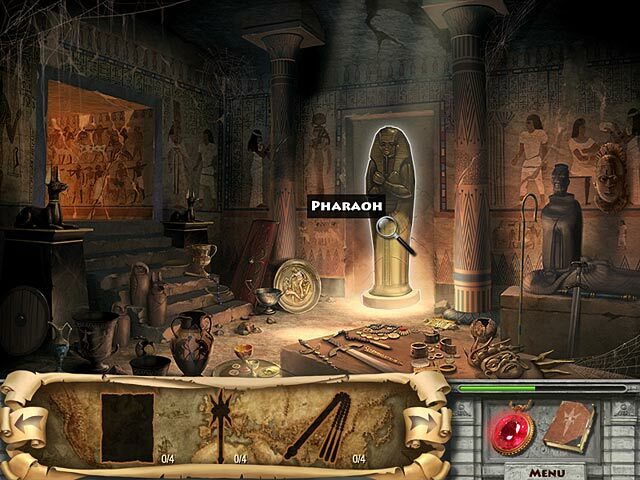 There are a wide variety of mini-games and puzzles. There is a skip option, but time will be added to your total game time for skipping any. Nothing terribly difficult. Music is fine. Hints show the area in which the item you are seeking is located. Hints take a while to recharge and time is added to your total game time for each hint used. Overall, an pleasant game to play. Because of the chapters, it is easy to take a break and not lose track of where you were. Rated 3 out of 5 by gamefan10 from An interesting game This is the kind of game that works really well playing one chapter, then putting it away for a while, then getting it out for another chapter, and so on. This is the story of Autumn and how she's looking for her grandfather's jade coin. She travels all over the world, and that's where the chapters come in. Each new country has its own chapter. You have to find pieces of objects and combine them into a tool you can use. The length of the game is good. I spent about an hour on each chapter. Every chapter has 3 or 4 areas to look in, and you have to keep going from area to area to find all the pieces. Autumn meets different characters in her travels, some helpful and very unhelpful. She also finds pages from her grandfather's journal and letters that explain what has happened to the coin. In between game chapters there are fairly simple mini games. I liked playing the game, but could only do it a chapter at a time, just because it was frustrating. In my opinion the pieces of the objects are too well hidden. Some are the exact color of the background, and I had to use the hint button for help for several of these pieces. But I did enjoy playing the game to the finish to see how it all worked out. I recommend the game as long as you take into consideration the pieces that are hard to find and the old-fashioned appearance of the game. 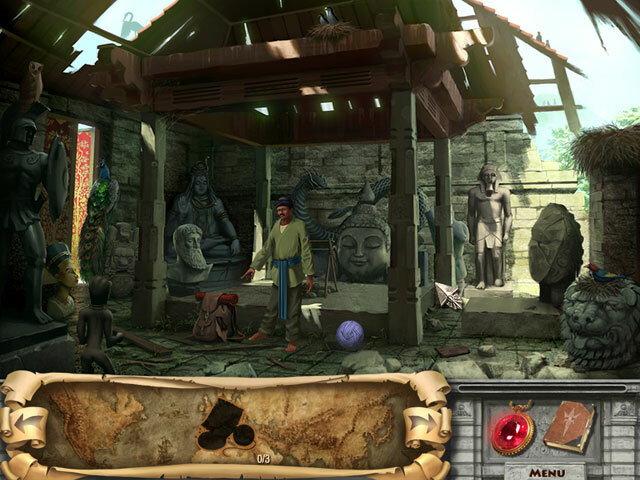 Help Autumn find her grandfather’s treasures in this Hidden Object Adventure game! Follow his clues across the globe!